As the leaves begin to fall in the Columbia area, your shingle roof may need some maintenance. 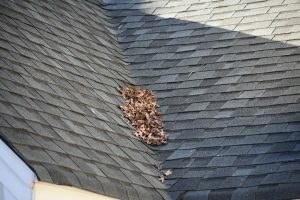 Depending on the amount of tree cover your property has, you could accumulate dead leaves in your valleys and low sloping areas of your roof. These leaves can hold water and cause a multitude of issues. Leaves sitting on your roof should be addressed sooner rather than later. When leaves collect in one area they can actually cause water to pool. Asphalt shingles are designed to shed water in only the direction of the roof slope. When water pools it will eventually cause leaks. There are some great products on the market that help prevent this issue such as Ice and Water shield and synthetic underlayment. Unfortunately if the leaves are not removed they will eventually leak. 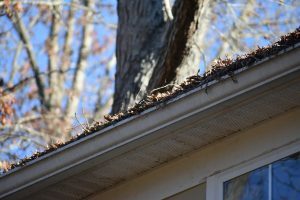 Leaves can also cause issues if they get into your gutter. 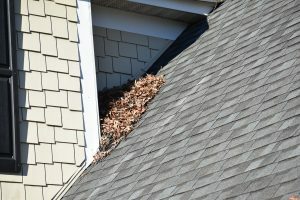 This is easily one of the most common sources of roof leaks. Leaves clog your gutter causing the gutter to to hold rain water which can spill over into the eves of your home. Leaks from this type of issue normally show up on exterior walls where the wall meets the ceiling. The fix is to have your gutter cleaned out once a year and make sure they are flowing consistently from all of your downspouts.